...So what’s this book about? This book (only 68 pages) is a collection of four original short stories by California based author, poet and artist, Uvi Pozanansky. It’s hard to put it in a genre other than Literature/Fiction/Short Stories. In this unique collection, Uvi Poznansky brings together diverse tales, laden with shades of mystery and the macabre. There are four of them: I Am What I Am; I, Woman; The Hollow; and The One Who Never Leaves. Here, you will come into a dark, strange world, a hyper-reality where nearly everything is firmly rooted in the familiar—except for some quirky detail that twists the yarn, and takes it for a spin in an unexpected direction. This is the reality you will see through the eyes of a ghost of a woman, trying to reclaim her name by appealing to the devil; the eyes of a clay figure of a woman, about to be fired in the kiln, longing for her Creator; the eyes of a woman in the midst of a free fall, about to become a ghost; and the eyes of a feline creature with cracked fangs, trying in vain to resign herself, by hook and by crook, to being locked. These characters explore their identity, and challenge their fate. Inspired by her art, by quotes from literature and the bible, and by the author’s professional career, these tales come from different times and places. Yet all of them share one thing in common: an unusual mind, one that is twisted. So prepare yourself: keep the lights on. I haven’t read any of Ms Poznansky’s books before so I have reviewed and rated each of the stories individually as well as giving the book an overall rating. I must confess to being a bit confused by this tale at the beginning; maybe that was the point, giving us readers a sense of disorientation. There seemed to be a few contradicting facts which made determining when in history this tale was taking place and when in history our main female character was reminiscing about. All of the characters were written with a skill that gave them depth and did become real for me and although my modern sensibilities cheer our main character's feminism throughout this short tale, her final declaration still confuses me. Story 2 - "The Hollow"
Story 3 - "I, Woman"
I liked this story, although it is the narrative from a very unusual character’s perspective. It is beautifully written and made me smile at times. Story 3 “I, Woman” is also linked to a poem called Dust which is included in this book and the 2 subsequent images of sculptures that were also created by the author called Dust I and Dust II. I would definitely call this a literary collection of short stories. I have enjoyed reading this book over the past few months even if, at times, I felt it was beyond me/too high brow. This book has made me think about the meaning of life, my relationships with those around me and my own self view while entertaining me. If you enjoy quirky, thought provoking novellas and short stories, I think that this book would make a welcome addition to your collection. 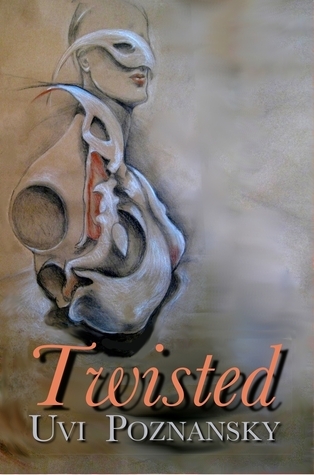 So, if you’d like to see TWISTED yourself, just click on the links below and check it out. Visit UVI POZNANSKY’s own website. Follow Flora's board Books I've loved reading!! on Pinterest. 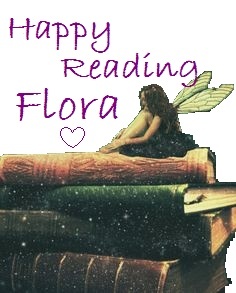 *flora* has read 30 books toward her goal of 115 books. *flora* has completed her goal of reading 50 books in 2014! Share book reviews and ratings with *flora*, and even join a book club on Goodreads. Somewhere else for those who hang around on the official Amazon Kindle Forum to slouch around. Share book reviews and ratings with UK Amazon Kindle Forum, and even join a book club on Goodreads. Share book reviews and ratings with Paranormal Romance & Urban Fantasy, and even join a book club on Goodreads. Share book reviews and ratings with Urban Fantasy, and even join a book club on Goodreads. Share book reviews and ratings with Adult Vampire/Paranormal Romance/Urban Fantasy, and even join a book club on Goodreads. Share book reviews and ratings with Bookaholic's Anonymous, and even join a book club on Goodreads. Share book reviews and ratings with Who's Your Author?, and even join a book club on Goodreads.